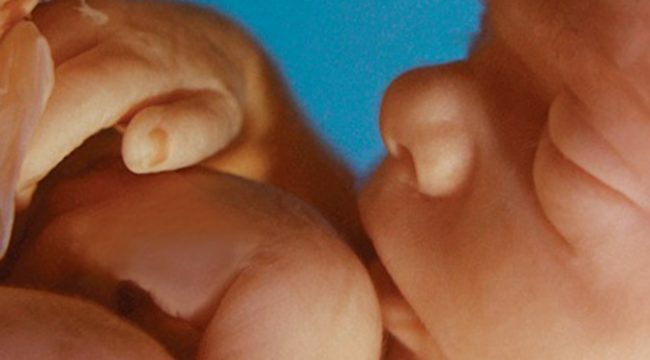 Planned Parenthood called aborted fetus ‘a baby.’ Vox doesn’t think you should know that. Naturally, this involves shielding them from dangerous ideas. Swedish philosophy professor Torbjorn Tannsjo learned this first hand. As Blake Neff reported in the Daily Caller, Tannsjo was asked to write a piece for Vox about the mere addition paradox (also known as the repugnant conclusion), a philosophical problem suggesting there would be more happiness in a world where more people existed, even if they enjoyed a lower quality of life. Tannsjo submitted his article and waited… and waited. Eventually, Tannsjo was told the editors had “a real concern” readers might “misinterpret” his arguments as “implying opposition to abortion rights.” While acknowledging that Tannsjo intended no such opposition, the shepherds at Vox didn’t want to take the risk. Given how Vox seems to regard its readership as intellectual livestock, I’m not surprised by this approach. And Vox isn’t just choosy about what it publishes; its writers are selective about what they see and hear, too. Take Sarah Kliff. Last month, she wrote about Planned Parenthood’s body parts scandal, claiming to have watched all of the footage that the Center for Medical Progress (CMP) had released. Interestingly, Kliff focused on the question of whether “Planned Parenthood intends to make money” from supplying fetal body parts but ignored the other crimes that Planned Parenthood officials were caught discussing. For example, she doesn’t mention that under federal law, it’s a felony to alter “the timing, method, or procedures used to terminate the pregnancy… solely for the purposes of obtaining the tissue,” something multiple Planned Parenthood officials offer to do. She also doesn’t bring up that in the first video, Dr. Deborah Nucatola seems to describe performing partial-birth abortions, a procedure that’s been banned since 2003. In her conclusion, Kliff notes that “Planned Parenthood workers are comfortable with fetal tissue research because they are comfortable with abortion.” According to her, this is because they don’t view a pre-born child as “a living, feeling human being.” If that’s the impression Kliff got, then there are some things she should probably watch again. Kliff could also jump ahead to 11:06, where she’ll hear a lab assistant announce that there’s “another boy” out on the counter. Or at least what’s left of him. As you can see, Planned Parenthood’s abortion staff have something in common with pro-lifers. Contrary to what Sarah Kliff says, they actually do understand that preborn children are living human beings. The difference? They don’t care. And thanks to your tax dollars, Planned Parenthood isn’t too concerned about paying its bills, either. Every year, the abortion chain receives over half a billion dollars from the federal government. Senate pro-lifers have tried to redirect those funds to federally qualified community health centers, despite opposition from the President and most of the Democratic caucus. If you want that to see that happen, then sign Live Action’s petition calling for end Planned Parenthood’s funding. You can also contact your representatives directly and pass the message on. Because just as Vox reporters are selective about the facts they see, Congress should be more selective about how it spends your money.